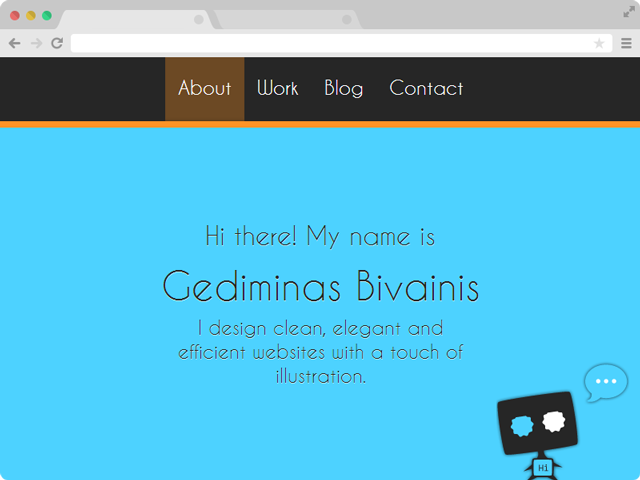 I have chosen a simple, clear and colorful solution for my portfolio in order to deliver an easy to use responsive website. I was using mobile-first approach and designed mostly in the browser. I have also designed the logo, illustration, and skill badges. In addition, I have set up WordPress platform for the "Blog" section and added some CSS3 and jQuery animations to the website. Role: Information Architecture, Web Design, Logo Design, Typography, Illustration, Front-end Development.